I think there's no hiding the fact Charlotte Tilbury is my favourite makeup brand of all time. Yes, of course, I love so many other brands but ultimately Charlotte Tilbury makeup is my favourite for so many reasons. So in celebration of my love for CT and the fact Charlotte Tilbury is Cult Beauty's Brand of the Month meaning free worldwide delivery (!!) 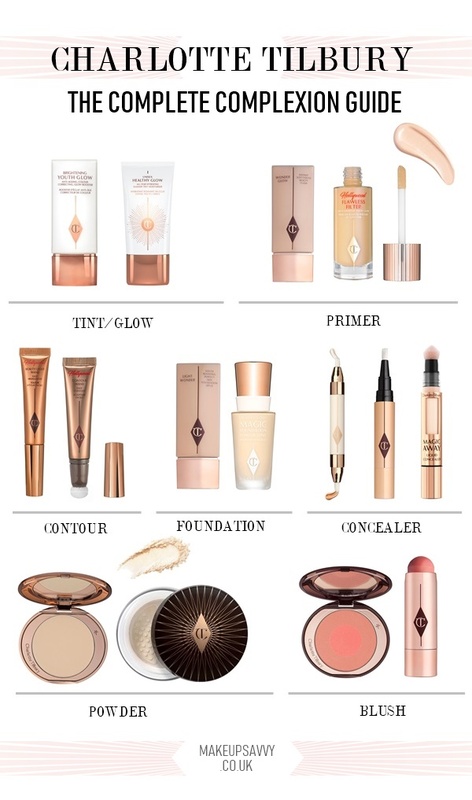 I thought I would put together a Charlotte Tilbury complexion guide of sorts. Running through what the brand exactly has to offer, my favourite picks - both new & old and what works well for varying skin types. Described as a glow-enhancing primer, Wonderglow offers a candlelit diffused looked to the skin when wearing light to medium coverage foundation. Available in a one-shade-suits-all gold tint this works on my own fair skin too much darker skin tones to add a veil of luminosity without any glitter particles. I personally reach for this on days when skin is looking and feeling tired as it doesn't feel heavy or like an extra layer of product on the skin while subtly boosting how radiant my skin looks. It's also a product ideal to wear alone to diffuse the skin alittle or with a tinted SPF/bb cream. 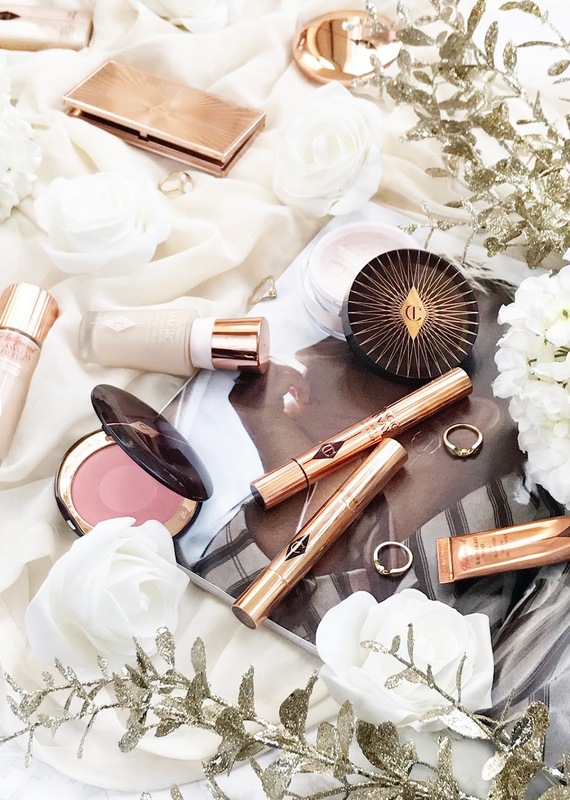 One of Charlotte Tilbury's latest complexion launches here that's certainly got me excited! Yes, this is another 'glow-from-within' style primer however it also works over makeup as a highlighter when applied to the high points of the face with the handy supersized doe-foot applicator. As the name suggests this is without a doubt a filter for the skin, blurring imperfections and adding luminosity. Perfect for both fine lines and pores Flawless Filter instead of enhancing imperfections magically blurs, while leaving a veil of luminosity to the skin that looks plump and hydrated - it really is magic to see. While I thought less would be more with this product I seriously can't get enough of it and even when I apply it under foundation and as a highlighter I want more as it's just incredible, making all foundation apply smooth and adding such a flawless finish to the skin. If you are sick of glow-enhancing primers/base products not delivering then this is certainly the one to try! BEST FOR: Combination or ageing skin to diffuse 'problem' ages a dream! Magic Foundation was my first ever Charlotte Tilbury purchase and the product that sparked my love for the brand. Before this foundation, I struggled to find a matte medium coverage foundation for my oily t-zone that didn't break down or allow oily to seep through. So when I discovered Magic Foundation was the one and it created such a flawless finish - it was love! With buildable coverage this flawless foundation is perfect for anyone with problem areas; such as redness, enlarged pores and blemishes they want to conceal without a heavy look to the skin. As the name suggests this is simply a magic foundation that I have repurchased for many years now. 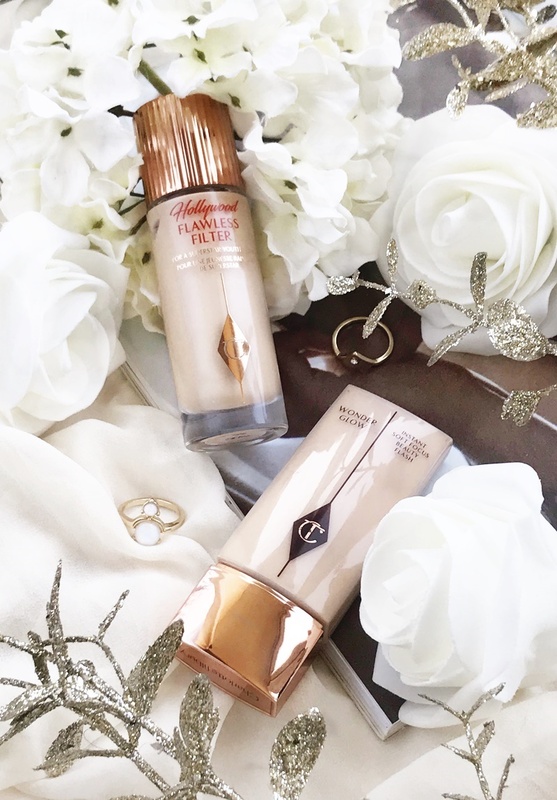 Read my full review of Charlotte Tilbury Magic Foundation. 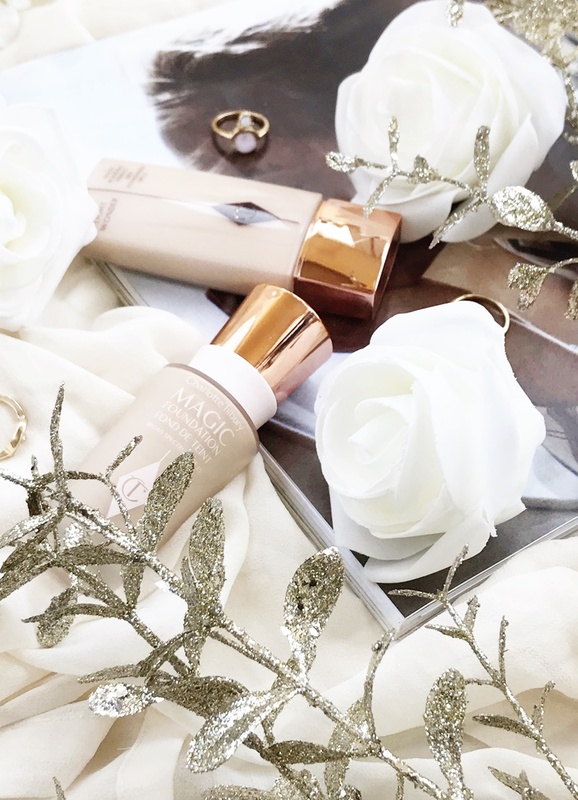 While Charlotte Tilbury has only two foundations under her belt, Light Wonder is the opposite to Magic Foundation in every way. So if you are looking for a dewy, hydrating, light foundation then Light Wonder is your girl! Somewhere between a bb cream and foundation sits the formula of Light Wonder, with a can-still-see-your-skin-through glow that is perfect for good skin days, off-duty makeup, or if you like skin to look real and radiant. It's also a foundation that can be quickly applied with just fingers in the morning and looks good all day. A beautiful light foundation if you want your skin to look virtually makeup-free yet diffused and illuminated. Use with Wonderglow for the perfect pairing! If you are looking for the concealer of dreams then look no further as this pen-style wand works wonders at concealing all types of imperfections; redness, dark circles, blemishes and broken veins, in a cake-free flawless way. Can you tell this is another one of my favourites? This was purchased after my YSL Touche Eclat concealer ran out last year and with the hope of a little more coverage, I purchased The Retoucher. Since I haven't looked back and use this concealer every time I apply makeup as I simply can't be without it! A truly wonderful concealer here that I cannot recommend enough! Enter Charlotte Tilbury's latest concealer launch and the perfect match for Magic Foundation! For me this is the ultimate anti-ageing concealer due to the plumping, lifting and brightening formula that really does make such a difference to dull skin or areas in need of concealing. Since first use I've been drawn to applying this concealer around my eye area the most as not only is the sponge applicator great for getting up close to the eyes without distributing too much product. But it can be used on both the under eye and eyelids and even crows feet to brighten and conceal without settling into fine lines. For maximum brightening effect, especially under the eyes, I highly recommend opting for a shade lighter than your natural skin colour. 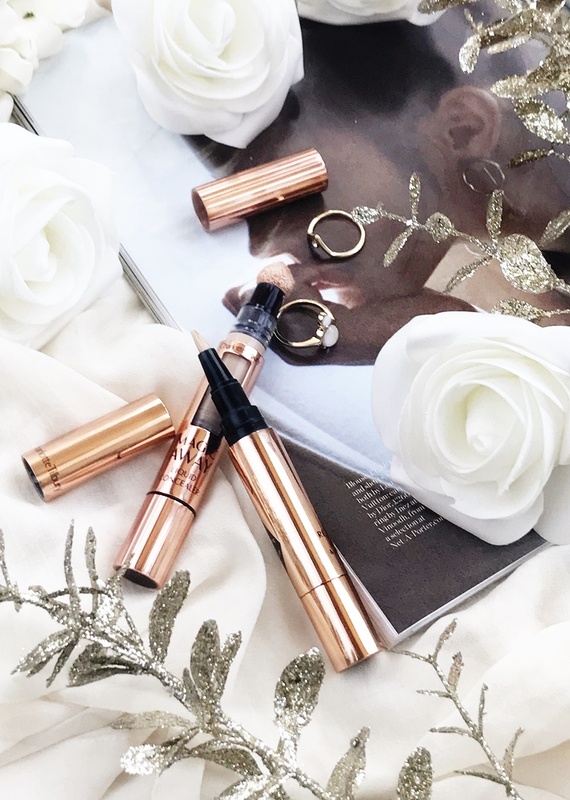 While Charlotte Tilbury feels very like a professional makeup brand for those who adore makeup it's really about creating a flawless finish with ease and the product that represents that ethos the most is Filmstar Bronze & Glow. Think everyday contouring made simple with this stunning palette that not only sculpts the face but subtly highlights as well. With only the most finely milled powder the bronzing side of the palette really is something I'd repurchase on its own as not only does it blend a dream to create the most natural yet sculpted cheekbones but it warms up the skin in a radiant way without sparkle. The tone of this bronze both in the light and dark shade is also why I love it as it has neutral undertones meaning there's no orange cast in sight! In fact, it makes the most perfect brown eyeshadow for the crease of the lids. As for the highlight side of the palette, it's very much an everyday product, perfect for subtle makeup looks and the office, however, it is buildable and definitely works a treat on the cheekbones and cupid's bow. If you are looking for the perfect everyday contour palette then this is certainly worth treating yourself too - it also helps that the packaging is stunning! 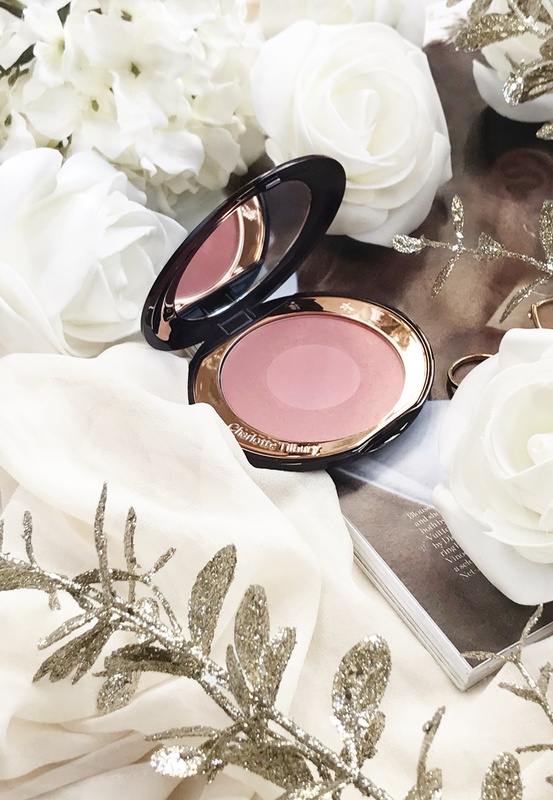 While Charlotte Tilbury's blushers aren't one of the most standout products from her complexion range they do have their place especially if you are after an everyday blush that you will wear with every makeup look you do. Much like the above Filmstar Bronze & Glow palette, this is another foolproof product for blusher applied the right way to really give a radiant pop of colour to the cheeks thanks to the clever 2-in-1 design. Above 'Love Glow' is fast becoming my everyday staple as it's beyond natural and gives a radiant glow to the cheeks, which I love! 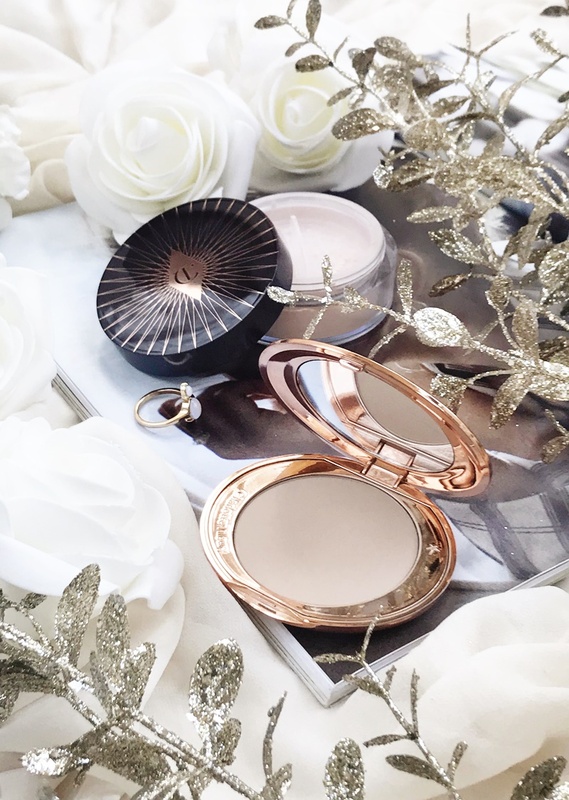 While this wouldn't be my first recommended Charlotte Tilbury product, I do see a £30 blush as a total luxury, this is one for those that cannot be without blusher and adore Charlotte Tilbury productsin general. For years I searched for the lightest non-cakey powder to set my makeup and mattify my T-zone with and finally I found it with this wonderful micro-fine finishing powder. This lighter than light formula truly is a joy to use, simply applied with any fluffy powder brush to mattify the skin without making it appear flat. In fact, I often apply this finely milled powder to my entire face for the diffused flawless finish it provides. My only warning is that anyone with oily skin or a very oily t-zone won't find this powder enough, I skip this when my skin is at it's oiliest, with the powder looking flawless for a few hours and then allowing oil to come through. 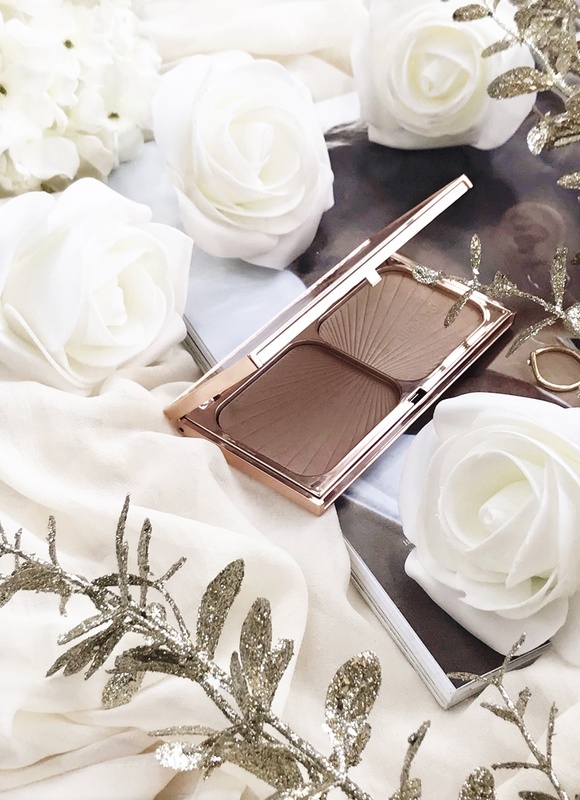 Lastly, Charlotte Tilbury's lastest complexion launch that has truly blown me and many others away (I'm tempted to dedicate an entire blog post to this magical powder) for so many reasons. Inspired by the power of Charlotte's Magic Cream this micro fine powder is weightless, silky soft, multi-purpose and an all-around thing of beauty! Can you tell I love it?! From using it to mattify the t-zone, to using as an all over powder and even it to 'bake' the under eyes to brighten and set the under-eye area this is fast becoming a staple product in my makeup bag. The non-drying formula is something I can tell has taken a lot of work and development as I've simply never come across such a silky lightweight formula that gives the skin such a soft touch finish while mattifying yet enhancing the skin. All I can say it this powder is beyond magical and what I'd really suggest treating yourself to while Cult Beauty offers free worldwide delivery for the month of September. Side note: I have seen a few reviews which have commented on the 'off' odour to the powder and I can confirm it does have an unusual almost sour smell to it. However, this isn't detected once it's applied to the face and isn't something that should put you off buying this wonderful product! Hollywood Flawless Filter - Finally a glow-enhancing base product that shows through foundation to give the definition of glowy skin! It also doubles up as a glorious liquid highlighter. Magic Foundation - This will forever be my go-to foundation due to the flawless untraceable finish it gives. If foundation sits cakey on you, especially around the chin and nose then this is the foundation to solve that problem! Charlotte's Genius Magic Powder - The queen of powders... I have too many good things to say about this loose powder! But simply if you are in the market for a new powder or want something extra amazing then really do treat yourself to this - you won't regret it! If you're a fellow CT fan, please do let me know your favourite base/complexion product in the comments below - I'd love to know!